That's all folks... we are all out of stickers! But the great news is you can still enter to win a FREE Bandana.Click here to Enter To Win A Free BandanaTo Enter To Win A Free Bandana.1. Like us on Facebook.2. Complete the Enter To Win A Free Bandana3. 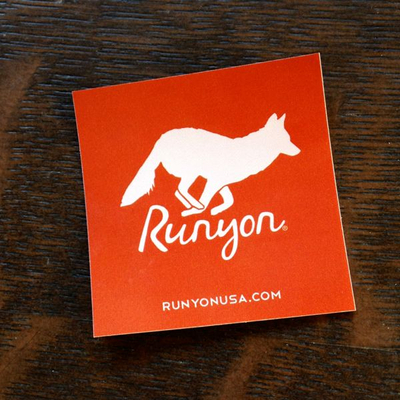 Confirm Subscription To Runyon List.In addition to entering to win a FREE Bandana, you will also receive special offers and updates on all Runyon new releases in store.. and we have a whole lot of great stuff on the way... you definitely will want to be part of Runyon growing list.Thank you to all that were able to order a FREE sticker and stay tuned for FREE Sticker No. 2 coming soon!